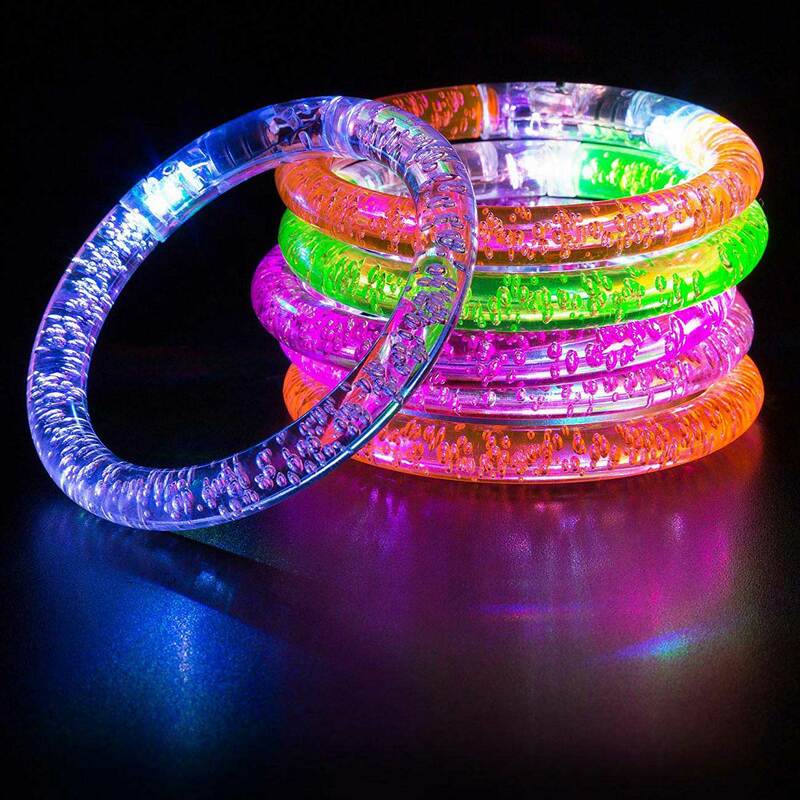 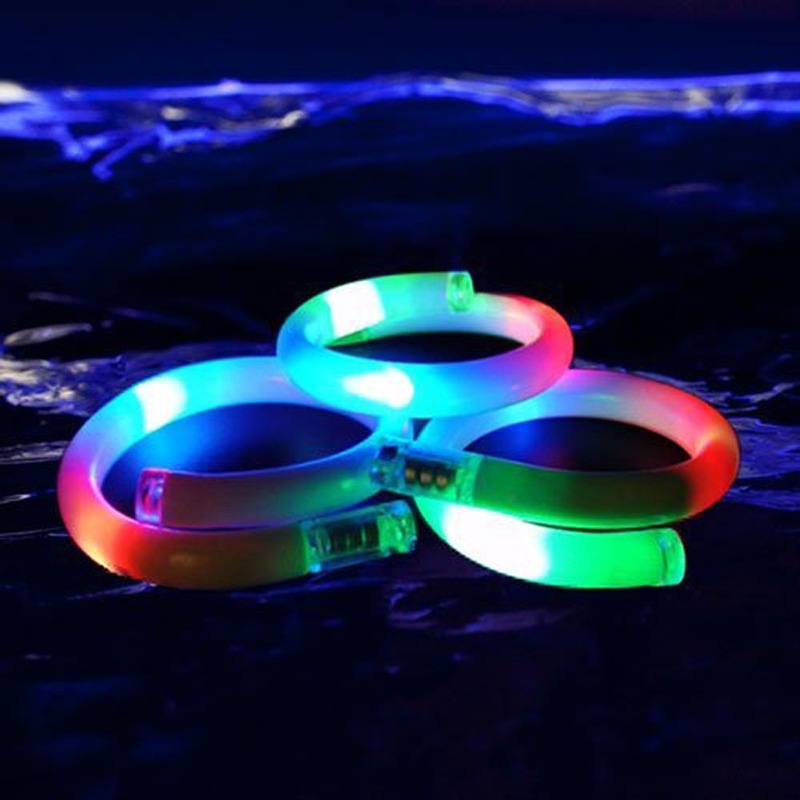 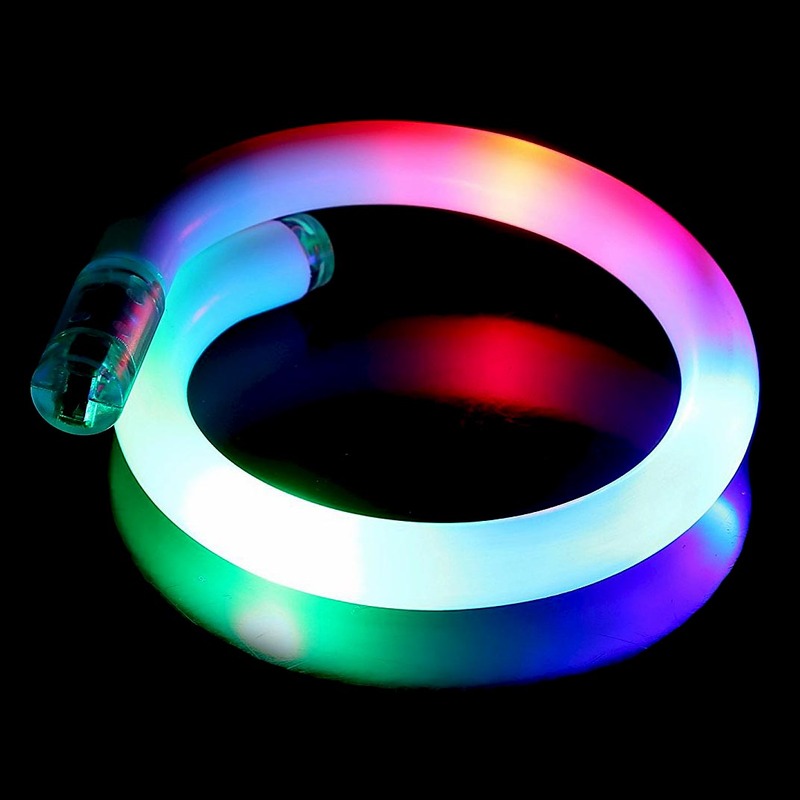 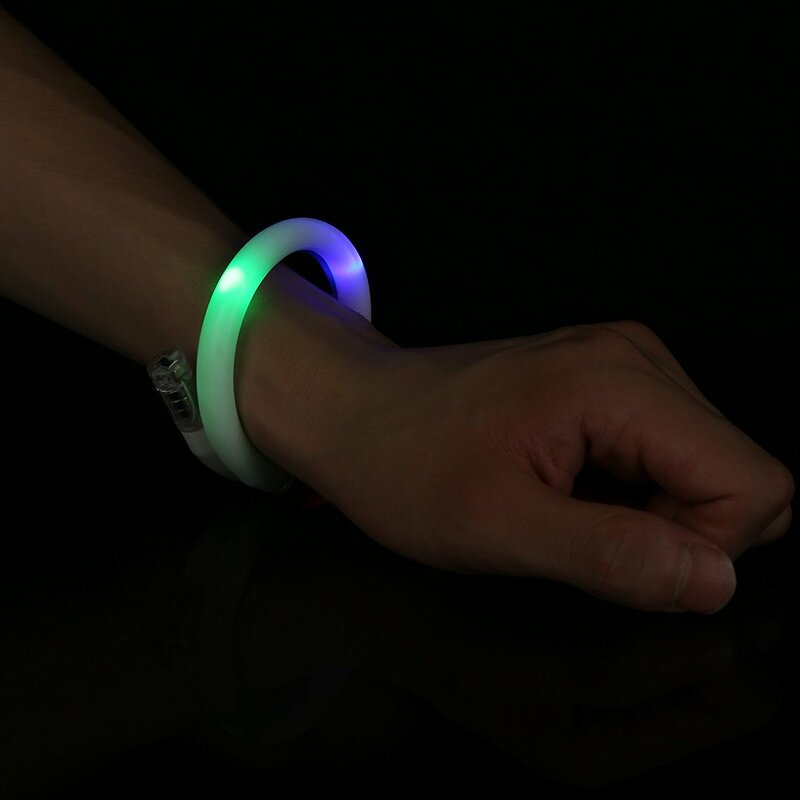 Flashing Panda's Fashion LED Bracelets are the hottest party accessory for ravers and party goers of all ages! 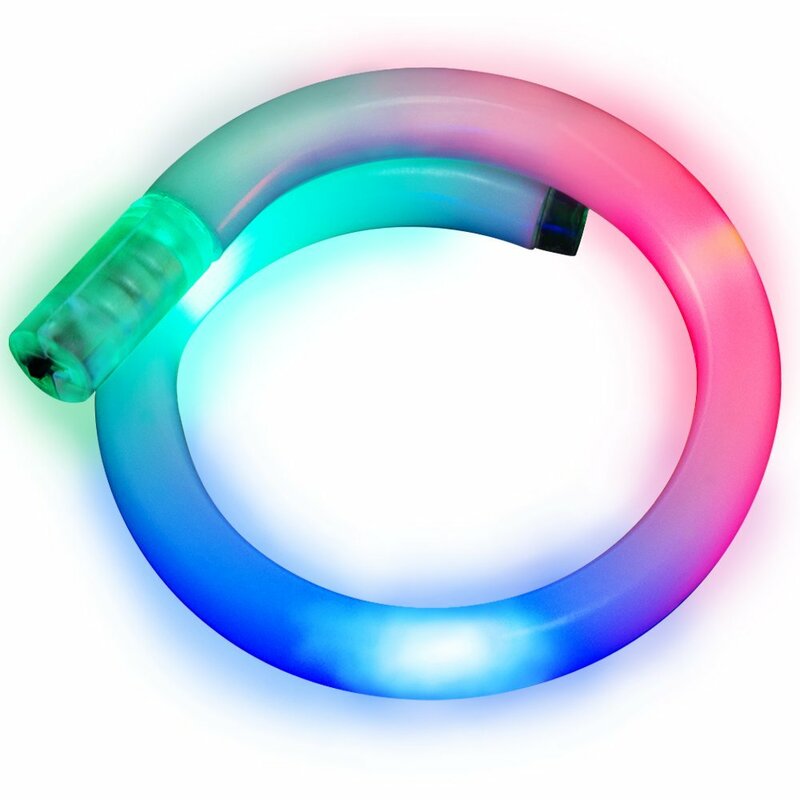 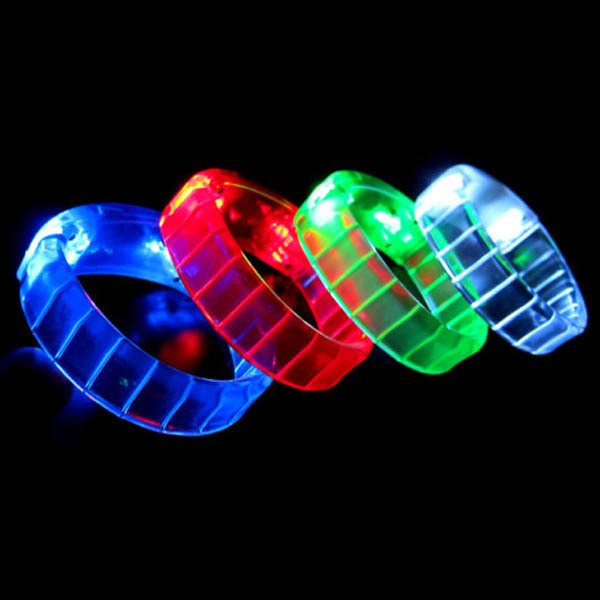 This twisted bracelet is lit up by a 3 red, blue and green LED lights, powered by 3 replaceable button batteries. 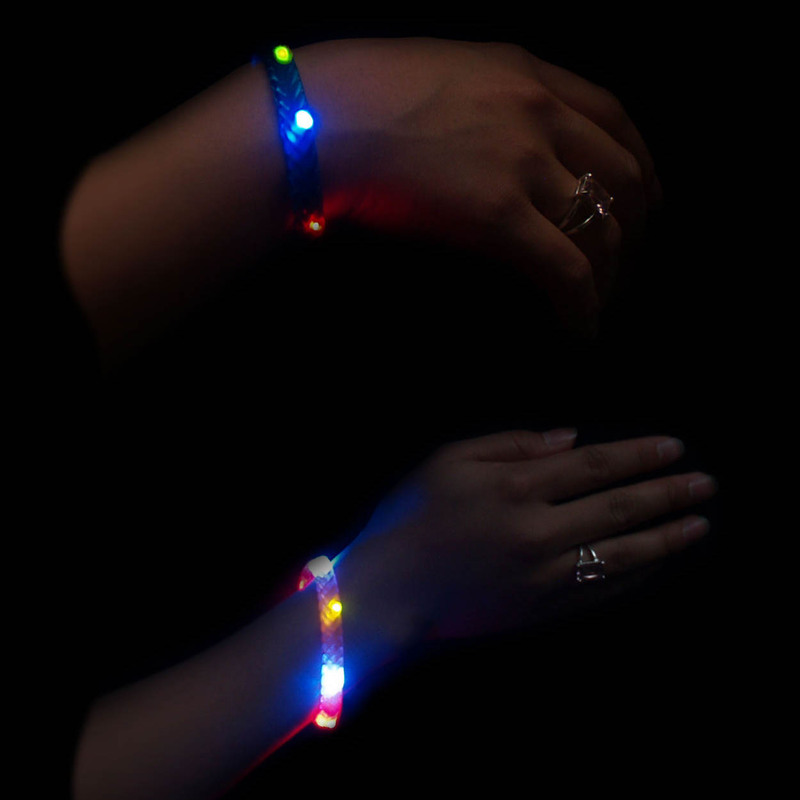 These bracelets are bright, stylish and fun! 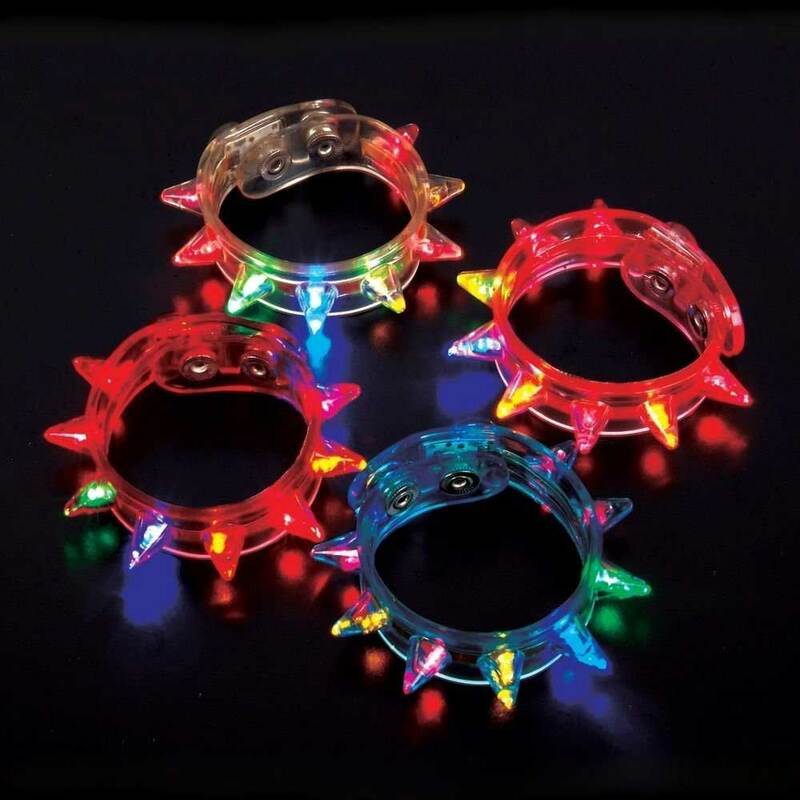 With a simple flip of the slide-switch, the LED lights flash in a pattern that makes for the perfect accessory for your next night on the town. 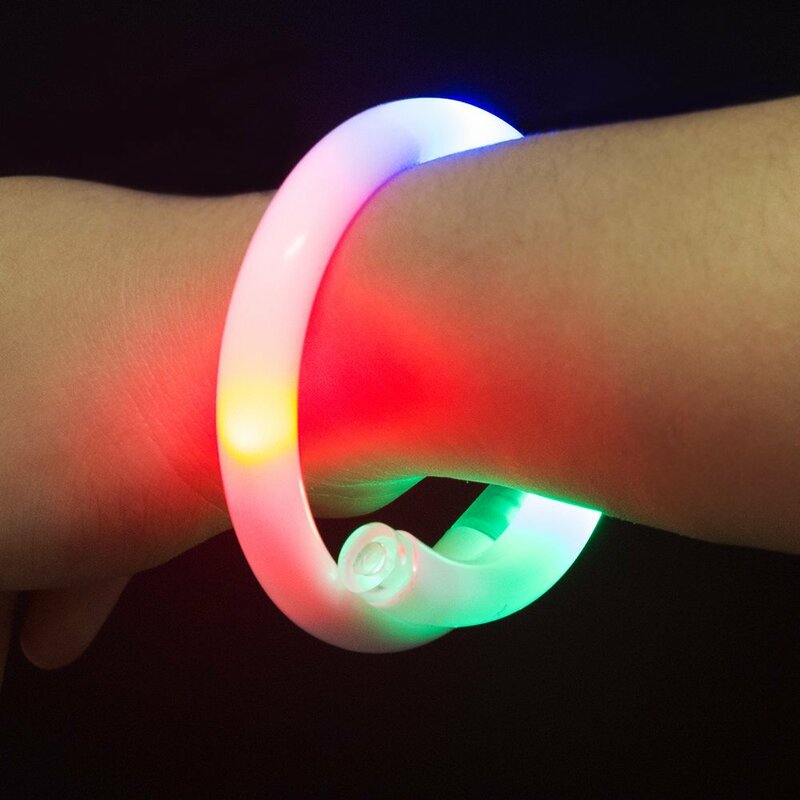 One-size-fits-all as the bracelet can expand freely, measures 10 inches long. 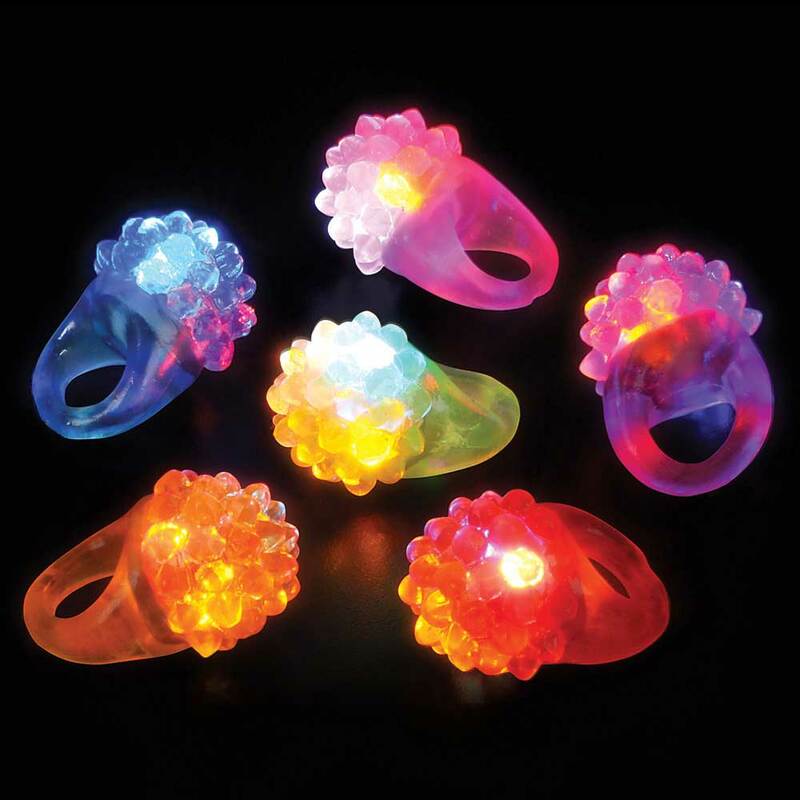 Perfect for parties, holidays, and clubbing. 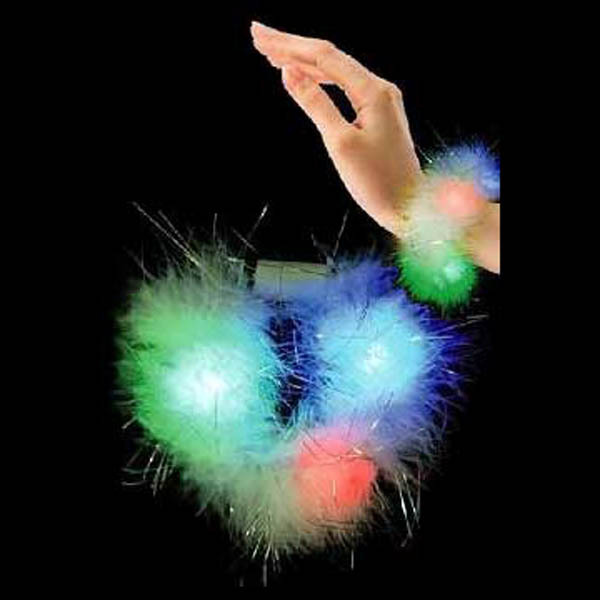 Makes a great party bag filler.